Имате въпрос към A. Zaragosa Lodging House? A. Zaragosa Lodging House е перфектен избор за пътуващи, които желаят да почувстват духа на Палаван. Хотелът се намира на 3 km от центъра на града и осигурява достъп до важните места на града. Хотелът предоставя също лесен достъп до безбройните градски забележителности и атракции като Little Baguio Falls, San Vicente Airport, Long Beach. Възползвайте се от богатството на ненадминатите услуги и удобства в Палаван. Екскурзии, перални услуги, зала за пушачи са само част от нещата, които отличават A. Zaragosa Lodging House от останалите хотели в града. Атмосферата на A. Zaragosa Lodging House се усеща във всяка стая. Удобства като стаи за непушачи, балкон/тераса, вентилатор, душ са само някои от даденостите на обекта. Хотелът предоставя най-добрите съоръжения включващи градина, които ще Ви помогнат да отпочинете след активен ден прекаран в града. С перфектното си местоположение и несравними удобства, A. Zaragosa Lodging House е един чудесен избор в много отношения. Отседнахме 5 вечер/и в февруари 2016 г.
Наличие общей кухни, приятная, отзывчивая хозяйка.Домик из бамбука, на любителя. Nice place with helpful people. Just 5 minutes walk to a wonderful beach. Thank you to all members of this family. They all were nice with us. Felt like home. The room was clean. A lot of animals around (dogs & cats) heaven for me who loves them! Food was good prepared by the son and also Vic. Thank you for everything ! Will definitely recommend this place close to the Long Beach. I know it can be bad luck but we got food poisoned in that place. Not sure if it was the water or the freshness of what we've got for breakfast. The place is close enough to the long beach (5min walk). Don't expect too much on the cleanliness/comfort side. If you're just looking for a place near long beach for a night and don't have any big expectations this might do it. Eat out though. The "Resort" is small and "simple". Nothing to fault, one just needs to know "what it is about". - The Lady owner however went out of her way to assist with a transportation problem that we had (with a third party) and her and her husband were very helpful ! Thanks again for this ! Staff made me feel at home. I had a lovely stay! Place is quiet (but I heard from other guests that when it gets booked out, it can get a bit noisy with the karaoke machine blasting all through the night) and just about 10minutes walk to the Long Beach. Bring insect repellant as naturally there are a lot of mosquitos and the the long beach is infested with sand flies. There are a lot of pets in the area (cats and dogs); something to consider if you're not fond of them. Tips: * There's a common kitchen you can use to cook food. There's also a fridge. Drinking water is free. * You can also ask the owners to cook food for you. 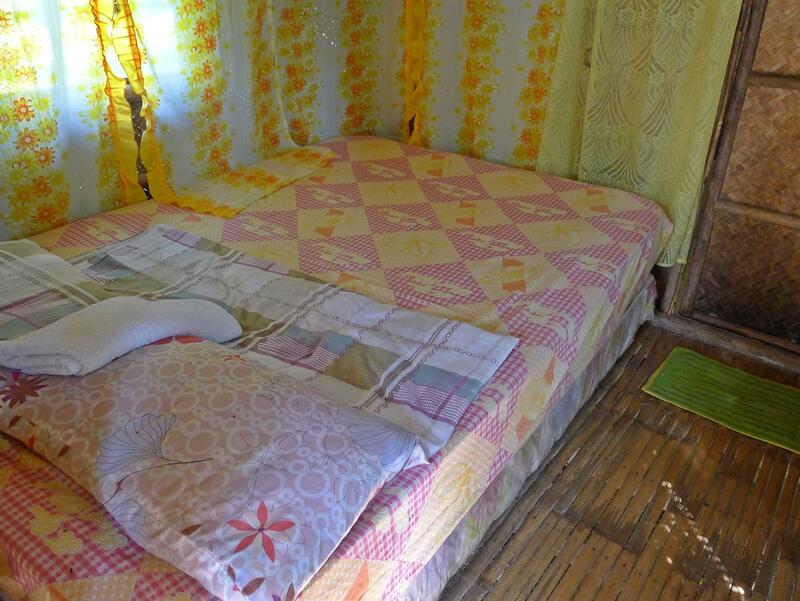 Other option is to take the motorbike to town (20php) where a number of food houses can be found. 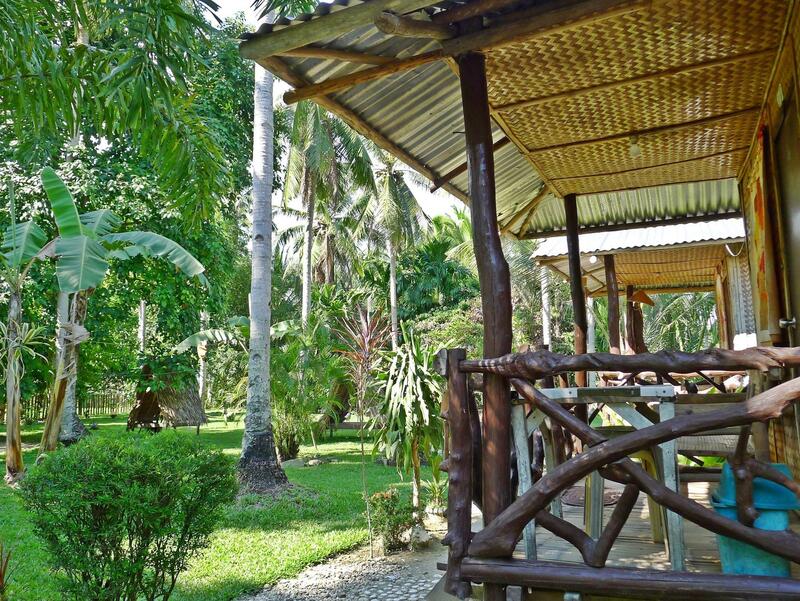 This guest house is located in New Agutaya near San Vincente and long beach. Very far from port barton! Two hours by boat or car. The area is not very touristy, with a few hosts, 2-3 restaurants in town and a small grocery across the street. The host was very nice! You can cook for yourself and there is a nice garden. The room was too basic for us, no mosquito nets on the windows and the one around the bed was partly opened and too tight, the bed was leaning to the center. For the price, it was a good place to stay and the beach was beautiful and very close! Love it! Staff is very friendly and helpful in every situation, you feel like a member of the family here! Cottage is nice, really very much like home, and it's not easy to leave this place. They can take you in their daily life if you want, or you can be by yourself, it's up to you. Location is a bit far from the village, but the Long Beach is near. Its fun to drive a motorbike between the village and Zaragosa's place (they'll help you in renting one, and don't be afraid, you'll learn it easily, or you can just hire a driver). They help you when planning every kind of activities. This is the place you'll get most close to the real life of the philippine people! Highly recommended! San Vicente is easy laid back town with real and friendly people where ever you go! This place goes by two names, Zaragoza's and Erica's Guest House. Everyone in San Vicente seemed to refer to it as Erica's but on Agoda it's referred to as Zaragoza's. They're both the same place. Here are the good things about this guesthouse: 1. The cottages are spread around a big enough yard that everything isn’t so close together. 2. The cottages themselves are simple but comfortable enough and no problems. Before arriving I was under the impression that San Vicente and area only had electricity 6 hours per day, but there was round the clock power here, so the information I read was obviously out of date. 3. Long Beach is only a five minute walk away and once there you can walk for a long time and enjoy the peace and quiet by the seaside. Presently this beach has absolutely nothing on it, but it's soon going to be developed and is supposed to be the next Boracay. It really is a great beach and I'm glad I could see such a place BEFORE it gets infested with high end resorts and thousands of tourists. It'll be interesting to compare this beach today to what it will be like 10 or 15 years in the future. 4. The staff here are friendly and helpful, and anytime I needed something they were able to help me out. Here are a couple of things I didn't like so much: 1. The guesthouse is located in Agutaya Town, which is about 4 km from San Vicente, so if you need to get to town for anything, eating, sightseeing, bus terminal, you need to get a motorcycle. You could walk but it's a hot and dusty road, and motorcycles are cheap enough. But the guesthouse is closer to the beach which I think is more important, so the location isn't such a bad thing. 2. It can get a bit noisy if the karaoke machine, which is located in the dining area, is being used by the owner's nephew. If this bothers you (it bothered me) then just ask Mrs Zaragoza to have it turned off and it will be. Otherwise this is a decent and cheap place to stay, and I can recommend it. Situado en San Vicente. Si eres el afortunado/a que está buscando alojamiento y una playa kilométrica sin nadie alrededor, este es tu sitio. Todo fue perfecto a excepción de los chinches que había en la cama. Me comieron. Por lo demás, no podía haber sido mejor. À notre arrivée il n'y avait personne pour nous accueillir. Quelqu'un a fini par sortir et nous ouvrir une chambre.. Le chalet est plutôt sympas, rustique (mais correct pour le prix). Moustiquaire difficile à installer et il y a de nombreuses ouvertures pour les petites bêtes. De plus vous serez loin du centre de San Vicente et le trajet en trycicle coûte 80 pesos l'aller. Le point positif aurait pu être le calme lié à l'isolement mais les coqs et les chiens hurlent toute la nuit.. Bilan Bof..
Les bungalows sont petits mais cela suffit pour quelques jours ! Douches froides mais il fait assez chaud pour que ce ne soit pas un problème ;) Le lieu est magique mais il n'y a rien ! Ne vous attendez pas à y faire la fête tous les soirs, il n'y a qu'un bar à 20-30mins à pied sur la plage ! Apres vous avez une sublime plage (probablement la meilleure que j'ai vu lors de ce voyage) pour vous Tout seul !! Il y a une cuisine on L on peut cuisiner ! Si je reviens ici, j y repasserai surement quelques jours. Отседнахме 30 вечер/и в май 2016 г.